Over the past year, Morrissey made headlines for having to cancel many of his tour dates — it turns out the cancellations were likely due to the fact that Morrissey is currently undergoing treatment for cancer, as confirmed by the BBC. He recently sat down with the Spanish magazine El Mundo and revealed that his specialists have "scraped cancerous tissues four times already" and finished his statement, "but whatever." The Smiths frontman comes across as apathetic toward his prognosis, and his famously melancholic lyrics aren't far off from his own reaction to a very serious matter. "If I die, then I die. And if I don't, then I don't. Right now I feel good," he explained. As much as Morrissey appears dismissive, the news certainly comes as a shock to his fans. However, despite how much the English artist seems resigned in his condition, he did mention in the interview that he will continue to create music and perform despite his health. "I am aware that in some of my recent photos I look somewhat unhealthy, but that's what illness can do. I'm not going to worry about that, I'll rest when I'm dead." His illnesses have recently included pneumonia, Barrett's esophagus throat condition, and anemia. Morrissey continued to, in his very signature way, to bluntly comment on his circumstances and how the world might react. "Many composers of classical music died at age 34. And I'm still here, and nobody knows what to do with me... With luck I will be able to stop singing forever, which would make many people happy." 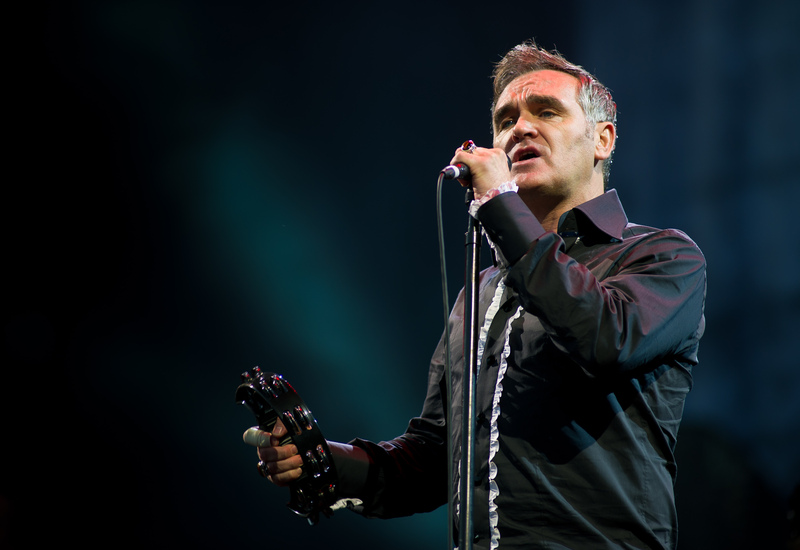 Morrissey remains a polarizing figure in the world of music. Though he is renowned for his work, his personal politics have put him in a lot of hot water over the years — so his comment is in no doubt directed at his critics. Morrissey is currently on tour in Europe and played in Lisbon this past Monday and is also working on a book that is due out in 2015 — which can only be interpreted as good news for his many fans.